If you are like most homeowners, your air conditioning system is easily one of the most important features of your entire house. You and your family depend on your air conditioning system day in and day out for a great deal of the comfort and convenience that you enjoy throughout your home on a daily basis. 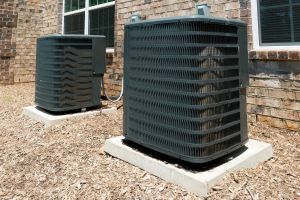 With that in mind, if you have a newly constructed home, or your home's existing air conditioning system has just reached the end of its lifespan, you want to be sure that you getting the professional help you need to find and install your new unit. Here at Mobley Heating & Air, our local air conditioning company can help you with all of your air conditioning installation needs from start to finish, whether you are looking for the right unit to fit your new home, or you are looking for an effective replacement to the one you had previously. Each and every one of our licensed professionals are fully trained and experienced in the field, and we can handle every aspect of your job from start to finish. Don't take chances when it comes to your new air conditioning installation. Give our team of local air conditioning and heating experts a call today and see the difference that quality can make. Here at Mobley Heating & Air, we have a great deal of experience in working with all types and sizes of air conditioning systems, and we are ready to help you find the one that is going to be the right fit for your home. Our team of professionals will help you go through the various options to find the one that is going to allow you to keep your home at the level of comfort you and your family desire, and give you a quality installation to ensure your new system is up and running as effectively and efficiently as possible. If you have any questions about our full line of high quality air conditioning installation services, or if you would like to schedule an appointment for consultation with one of our specialists, give us call today. Our team of experts are always standing by and would be more than happy to assist you in any way we can. The process of installing a new air conditioning system is a fairly complex one, and definitely not something you want to leave in the hands of someone who doesn't know exactly what they are doing. The quality of your new air conditioning installation sets the tone for its entire life in your home. If the person performing your installation cuts corners in the work, it is going to be that much more likely for your system to develop issues throughout the course of its life, and you might find yourself in more frequent need of repairs and such than if you had just had the job performed correctly the first time around. Here at Mobley Heating & Air, our team of highly experienced professionals will ensure that you get a flawless installation for your new air conditioning system to help keep your repair needs to a minimum and maximize its lifespan. If you need an air conditioning installation professional, then please call (770) 939-6998 or complete our online request form.